Are you someone who has a way with words, thrives in creating plots, characters, and scenarios in their head? Then maybe scriptwriting is for you. The role of a scriptwriter isn’t easy, and sometimes it is hard to decide whether it is a career choice or simply something to do in your spare time. If you have the drive, passion, and enthusiasm to dive into the world of scriptwriting then we have put together 7 steps that will help you develop from a junior writer to a script writing pro. 1) Is scriptwriting the career for you? Working closely alongside the script editor, the scriptwriter, also known as a screenwriter, is responsible for the writing the screenplays for TV, feature films or short films. As attractive as this thought may be; working as self-employed, being paid big bucks and seeing your story and characters bought to life on the big screen, it comes with its trials and tribulations. You need to think long and hard on whether you’re cut out for a position that is highly competitive with many knock-backs and long hours. Are you ready to dedicate your life to this? Think, act, and work as a scriptwriter. If you have decided to take the plunge and you have made the psychological mind-shift then it is important that you stick to it and jump in with everything you’ve got. You ARE a scriptwriter and you are confident you will achieve your goals. Becoming a scriptwriter is far from an easy journey, even for the most talented, so ensuring that you start with the right attitude is crucial. Believe you are and you will become. Make the calendar (aka bible) as visually pleasing as possible and hang it up above your desk. Decide on the hours you work per day and jot them on the calendar. This all depends on your personal situation, if you have a full-time job initially then a few hours in the evening or a designated day on the weekend it's just as effective. You’ve written something.The routine and consistency are more important than the number of hours. Cross off every day where you complete your hours, sticking to the will create a good pattern of behaviour, you’ll finish every day satisfied and fulfilled knowing you’re one step closer to reaching your goals.It is equally important to not go over your designated hours, you need time to relax and recoup ready for the next day. Even the most talented story-tellers have one aspect of the writing process that isn’t quite as strong, maybe you’re great at creating dynamic characters but you struggle with plot progression. Being good at everything is, of course, important. Focus on each subject individually and research extensively by reading blogs and articles, the breakdown of the subjects are: Dialogue, plot, concept, character building, theme, description and script formatting. Make notes and save any blogs you find really helpful, that way you can look back and reference easily. 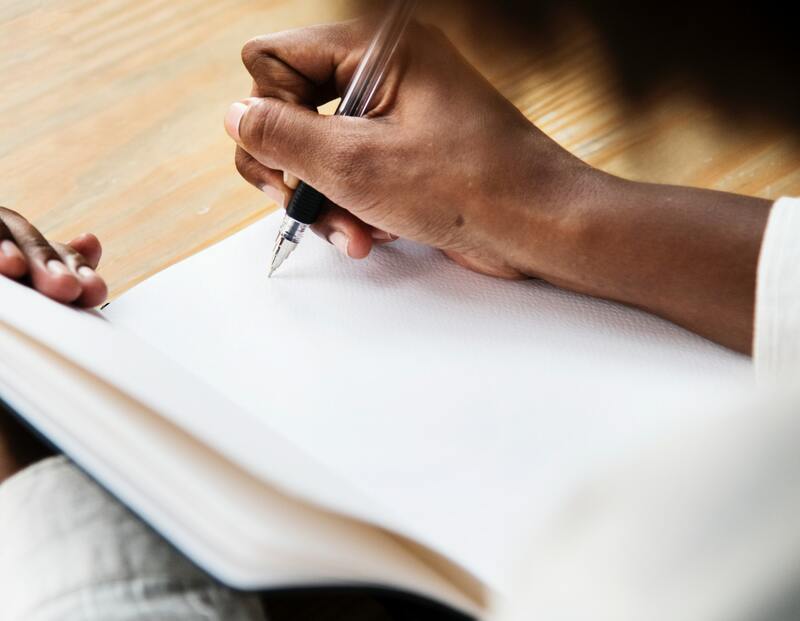 Of course, writing is the most important element within becoming a scriptwriter, but there are many different aspects that are equally as important in making you a well-rounded scriptwriter. Read various scripts: this is a great way to familiarise yourself with how professionals write, and how different scrips vary in technique. You should designate time in your schedule for reading. Network with like-minded creatives: Whether that be as simple as mixing with colleagues, course friends, finding writing groups and forums online, or making the huge jump and moving to LA. There is nothing more inspiring than being around people who share the same goals as you. Stay up to date with industry trends: it may seem obvious, but becoming an expert in industry-relevant news is equally as important as the craft itself. Especially when you are in an interview and you’re expected to know what's selling and who’s the current movers and shakers in the industry. Be on top of the game. It shows interest and dedication to your profession. - Free scriptwriting introduction courses where you can learn all the basics online with the BBC. - Scriptwriting masters for a more extensive understanding, an example of this is at the National Film and Television School. - Scriptwriting day courses where you pay a one-off payment are a great way to gain nuggets of knowledge within a day. The City Literary Institute offers a variety of different scriptwriting subjects. Top tip: possessing creditable experience in writing a novel, stage play, movie, web series or commercial shows that you broadened your writing skills, whilst this isn’t key into breaking into the scriptwriting world it makes you an all round and versatile asset. Been writing for a while and feel ready to get your scripts out there? Then it’s time to put together a portfolio of your work to showcase your finest work. Before submitting to the industry you need to ensure it’s at a good enough standard. It is understandable to get itchy feet and send it out there to the market, only for it to get rejected as opposed to the love that you expected. Can you summarise the story in three clear sentences? Does your script contain a clear protagonist with a goal or journey? Are there clear A, B and C storylines? Is the genre requirements fulfilled? How does your writing style, dialogue, and character progression compare to successful and professional writers? Does each scene reach its dramatic purpose and potential? Has the response from a fellow colleague, boss, student or friend within the industry been positive or negative? What should go into your portfolio? Two to three of your best screenplays. Script synopsis for each, about 2 or 3 pages outlining the story and characters. A query letter exposing your achievements and what makes you stand out and different from everyone else...your portfolio needs to scream ‘READ ME!’ So make sure it is eye-catching, engaging and explains why it is a script they have to invest in. This is where the real work begins, it is time to set up an action plan to get your work into the big wild world. It is recommended to research and reach out to managers, they will not only market your script but they will nurture and care about your career, and will become your mentor. Selling your script to managers and producers is never easy, but it is your baby, your prized possession so give it all you’ve got! If you have decided that a career in scriptwriting is for you, then look no further than The Mandy Network. Keep up to date with all the latest scriptwriter jobs and screenwriter jobs by signing up with us today.